On 23rd and 24th October, we held our annual Harvest Festivals. A massive thanks for all your support! From Nursery through to Y6, we think the children did a superb job. Apologies that the hall was so crammed, but that just shows what a great community we have here in Codnor! Not many schools are this fortunate – you are all very appreciated. Pics and the final total for WaterAid coming soon (watch this space! 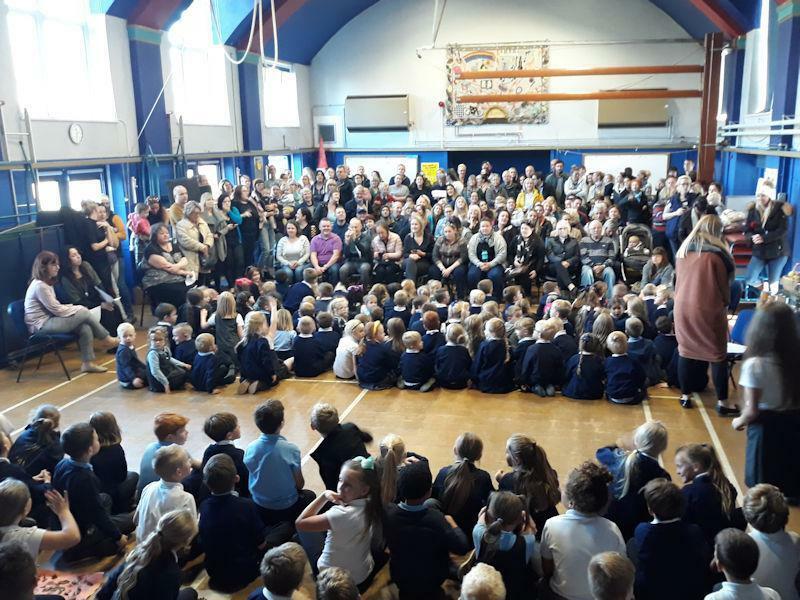 ), but in the meantime, here's a photo taken from the stage of an extremely busy hall - and this was just while the children were coming in!